When it comes to food, we intuitively know that quantity matters. Eating or drinking too much of anything can be harmful to your health. After all, even water can kill you1 if you drink too much of it, too quickly! While REAL Vitamin C (the kind you’ll find in an orange) isn’t on trial, new studies show that synthetic ascorbic acid–the poster child of never-too-much supplements– can have serious negative consequences for your health. Let’s talk about the difference between Vitamin C and ascorbic acid, how ascorbic acid found its way into so many “Vitamin C” supplements, and why it can hurt your health. So, What’s Wrong with Ascorbic Acid? How Much Vitamin C Do We Really Need? It’s really important to get this straight, right off the bat. Vitamin C and ascorbic acid are two different substances. That distinction can be confusing, especially because if you walk down the pharmacy aisle, or even check the supplements in a health food store, you’re going to see the two used interchangeably on some labels. To clarify, Vitamin C is the good stuff. It’s the complete vitamin found in an orange, broccoli, or spinach. Is ascorbic acid really a good substitute for the Vitamin C found in plant food? Ascorbic acid, on the other hand, is one component of Vitamin C, which can be isolated— and synthetically manufactured en masse. Albert Szent-Gyorgyi won a Nobel Prize in 1930 when he discovered and isolated ascorbic acid from red peppers. The short answer is, “absolutely nothing.” Real ascorbic acid is pretty darn important— when it’s part of naturally-occurring Vitamin C. Ascorbic acid in Vitamin C plays a critical role in heart health, immune function, brain health, wound healing, and cell repair and growth3 (more on this below). But here’s the problem: It’s not very cost effective to extract real ascorbic acid from foods like peppers, cranberries, and acerola berries. 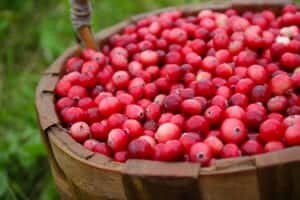 Ascorbic acid is found naturally in plant foods like cranberries, but expensive to extract. What is cost effective? Synthetic ascorbic acid that’s created in a lab using corn syrup and hydrochloric acid.4 Unfortunately (and unsurprisingly) this frankenstein of ascorbic acid is 35% less bioavailable5 and can even be downright dangerous. So why is this manufactured substance, found in everything from supplements to gummy snacks, so popular? Ascorbic acid’s biggest champion was a man by the name of Linus Pauling, one of the most influential scientists in the 20th century, and a hero in so many ways. Pauling spent much of his career steering people toward high doses of “Vitamin C’ in the form of manufactured ascorbic acid (which he believed could treat cancer). Pauling’s ideas caught on like wildfire. Why bother peeling an orange when you can pop a pill? Besides, the high doses of ascorbic acid Pauling recommended would have required eating 50 or more oranges per day. But unfortunately, there’s an unhappy end to this story. Not recognizing that synthetic isolates were inferior to vitamin C from natural sources, Pauling remained steadfast in his research, which was funded by the corporate giant Hoffman-La Roche (uncoincidentally, one of the largest manufacturers of ascorbic acid). And after a lifetime of taking massive amounts of ascorbic acid himself, Pauling died of cancer. 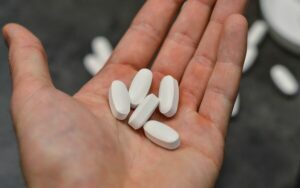 Until recent scientific studies challenged the wisdom behind Pauling’s mega-doses of ascorbic acid, generations of folks have taken trillions of doses of these “vitamins” in search of better health. 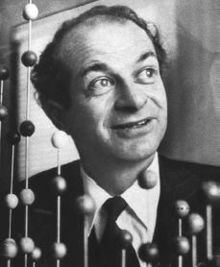 Chemist Linus Pauling played a key role in popularizing ascorbic acid. Since 1930, scientists have been hard at work tweaking synthetic ascorbic acid in an effort to make it better — like adding bioflavonoids or making it fat soluble instead of water soluble. 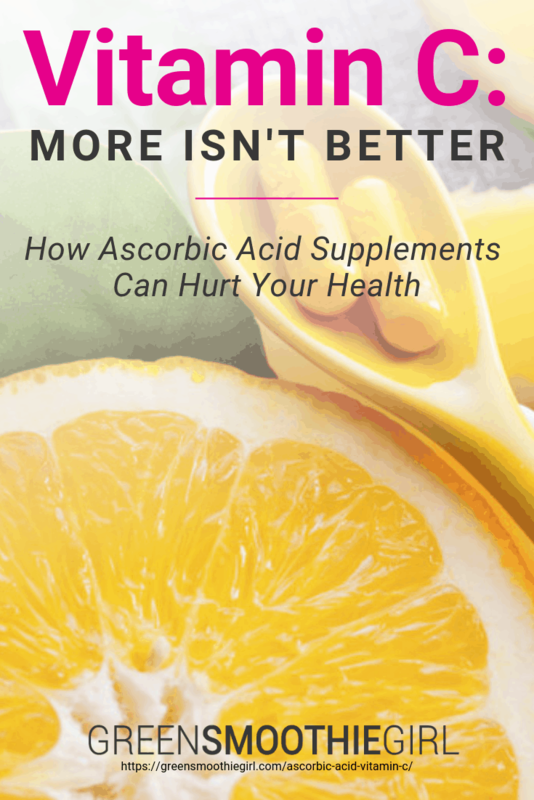 The result is ascorbic acid that can be taken in larger quantities without causing major diarrhea (not true of the ascorbic acid of yesteryear) and seems to be absorbed better (still a measly 35%-55%,5 compared with the 70-90% absorption of naturally occurring Vitamin C). The Mount Sinai School of Medicine did a study that said that Vitamin C causes genetic damage to your genes and offspring. I read this while I was taking 3000 milligrams of Vitamin C a day. He added, “I don’t touch it.” Then proceeded to spit out all these chemicals that are used. Acetone, the same stuff used to make nail polish. Benzene, which you’ll find in gasoline. Chlorine and Clorox. Perchloric acid, which is used to make rocket fuels and explosives. One recent study demonstrated that doses of 500 mg a day or more of ascorbic acid increase the incidence of arterial plaque buildup and thicker arteries.7 In other words, taking synthetic ascorbic acid can increase your risk of heart attack, heart disease, and high blood pressure. Taking high doses of ascorbic acid has also been linked to the formation of kidney stones.8 A long-term study of 23,000 Swedish men showed that those who regularly took ascorbic acid supplements were twice as likely to suffer from kidney stones. High doses of ascorbic acid have been linked to a higher risk for kidney stones. Ever hear Vitamin C supplements touted as antioxidants that can help fight cancer cells? While that’s true of real Vitamin C, it’s simply not true of manufactured ascorbic acid. Another study published in Science showed that high doses of ascorbic acid can lead to the formation of genotoxins11 — or chemicals that damage the genetic information inside cells and lead to mutations — a fast track to cancer. Yet another study showed that athletes who took 1000 mg of Vitamin C daily12 were unable to compete as long or as intensely as their peers, because the high dose prevented cells from adapting properly to exercise. Are supplements giving you way more “vitamin C” (ascorbic acid) than you need? In contrast, the recommended daily dose (USRDA) for Vitamin C is a meager 75 mg (for women) and 90 mg (for men): the equivalent of one orange, half of a bell pepper, a partial serving of broccoli, a cup of strawberries, or a serving of countless other fruits and vegetables. While the USRDA is not my authority for how much I need, of healthy food (due to political issues at play), the point is: 3000 mg of Vitamin C, especially long term, is not natural and may actually be a bad idea. So, where does that leave us? There’s certainly no need to restrict yourself to the USRDA (which is the absolute minimum amount of natural Vitamin C you should be getting each day), and if you’re eating a healthy diet that includes a variety of raw fruits and vegetables, you’re almost certainly meeting your nutritional needs — without exceeding the Food and Nutrition Board’s recommended safe upper limit of 2,000 mg. There may also be times when you choose to supplement with larger doses of real, whole-foods-derived vitamin C to boost your immune system, head off a cold, or for other therapeutic reasons your functional medicine doctor may suggest. 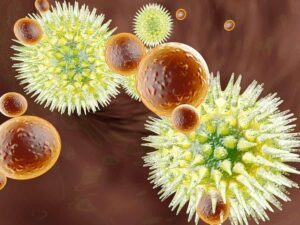 As long as you steer clear of synthetic ascorbic acid, this practice can be both safe and very helpful in fighting off harmful bacteria and viruses. Eating enough Vitamin C is also important for minimizing skin damage from the sun’s rays. While you’ll see plenty of products that apply Vitamin C to the skin topically, the evidence is scarce that this method is very effective. Eating a diet high in plant-based Vitamin C is the best way to achieve the life-long health benefits. Vitamin C plays a vital role in the health of your brain.16 In fact, it’s so important that in times of scarcity, your body will divert any available Vitamin C to the brain in order to keep levels constant. 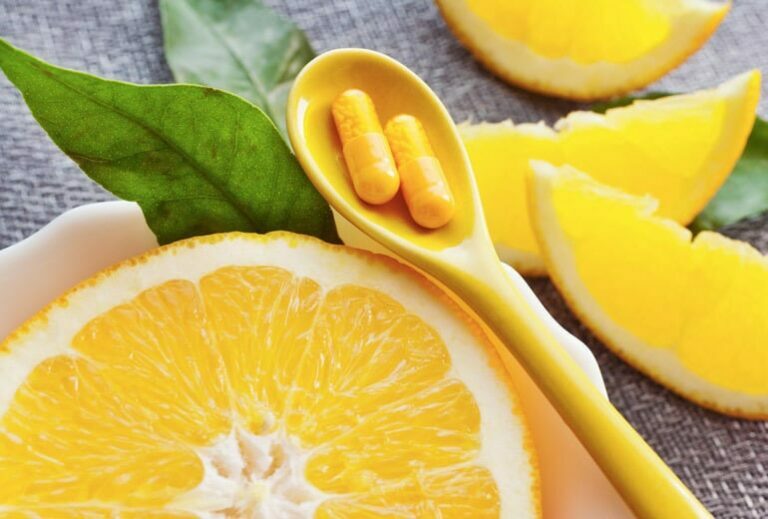 Ascorbate in Vitamin C helps protect the brain from oxidative stress, is required for neuron health and development, is vital to the proper function of key neurotransmitters, and reduces inflammation. 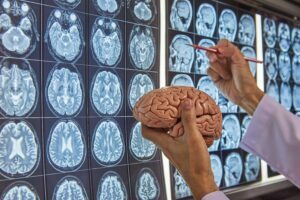 Vitamin C from plant sources plays a key role in brain health. Vitamin C is vital to healing wounds because of its role in forming connective tissue and collagen. Individuals who don’t get enough Vitamin C are slower to heal from cuts or other wounds, since Vitamin C is needed to form scars and regenerate healthy skin cells. Antioxidants like Vitamin C play an important role in managing the balance between oxidants and antioxidants18 in the body any given time. Each organ in your body requires a unique amount of Vitamin C to function properly, and getting enough of this vital nutrient helps your body stay in homeostasis, with all systems working together properly. These oxidants appear when the body breaks down sugar or fights viruses and bacteria, or when you breathe in polluted air or consume tainted foods. Left unchecked, oxidants can lead to cell abnormalities and mutations — and eventually, cancer. Vitamin C deficiency has been linked with a higher chance of dying from heart disease.19 This vitamin is also important to maintaining a healthy lipid profile, and healthy blood vessel cells. That said, there’s not much evidence that taking mega doses of Vitamin C is any more beneficial than simply getting the right amount, on a regular basis, from whole foods. Several different types of immune-system cells store Vitamin C20 (including killer-T cells and phagocytes). These cells need Vitamin C to work effectively and efficiently. Vitamin C is important for immune system function. Taking mega doses of ascorbic acid “Vitamin C” won’t result in a miracle, but making sure you’re getting enough Vitamin C from plant-based sources on a daily basis can help your immune system run at full capacity and fight off viruses and bacteria. I do take 500 mg of Vitamin C a few times a day, when I feel a cold or virus coming on. However, I use only C supplements whose ingredient list is entirely the high-Vitamin-C superfoods and fruits, like amla, camu camu, rose hips, manoic root, acerola, and other berries. Iron is absorbed in the intestinal tract. However, the presence of common minerals like calcium and phosphate can cause poor absorption. Vitamin C has been shown to significantly improve iron absorption21 in the intestinal tract, improving conditions like anemia. Naturally-occurring Vitamin C is plentiful. There’s little need to bother with corn-syrup derived nonsense (that’s only absorbed at about 10%!) when you can get the real deal, with around 90% absorption. If you’re looking for short-term, immune-stimulating therapeutic benefits of Vitamin C, look for one that comes from pure organic food sources, contains zero additives, and isn’t just isolated ascorbic acid (a red flag it was made in a lab). Common high-quality Vitamin C supplements will have ingredients like acerola berry extract, amla berry extract, camu camu berry extract, and berry blends (e.g., cranberry, cherry, lemon, black pepper berry, raspberry, blueberry). These plant foods should be the only ingredients, if you choose to take a supplement! Carefully read the back label on any supplement. If the list of ingredients isn’t very obviously whole foods (like vegetables and fruits and seeds), be very wary. Ironically, if “Vitamin C” is listed as an ingredient, that’s typically a red flag that the Vitamin C is synthetic,22 according to functional medical clinician Dr. Ben Kim. Even if a product’s label includes the word “natural,” you need to be wary. Manufacturers often use this word if only a small percentage of their product comes from actual whole food sources. The remaining percentage may be synthetic. If the supplement you’re looking at has a bunch of words ending in “ide,” or “ate,” you’re probably looking at lab-made ascorbic acid. These words indicate that a salt compound was created to stabilize a synthetic substance. You might see bitartrate, acetate, chloride, nitrate, gluconate, hydrochloride, or acetate. A lot of products on the shelves boast high Vitamin C content. But if that product is processed or manufactured, chances are, it contains synthetic ascorbic acid–not real Vitamin C. That includes drug-store brands like Emergen C and Airborne, gummy snacks, fruit juices fortified with Vitamin C, and a whole host of other processed products. Again, unless you’re seeing a whole-foods ingredient list, you can probably assume you’re getting corn-syrup derived ascorbic acid. Real Vitamin C from raw, unprocessed plant sources is absorbed by the body at an incredible 70-90% and is critical to heart health, immune health, cell function, skin health, and brain function. Lab-manufactured ascorbic acid, on the other hand, is a totally different story. Absorbed by the body 35% less effectively than natural Vitamin C, this corn-syrup derived frankenstein supplement has been linked to cancer, heart problems, and kidney stones, particularly in the mega-doses promoted by scientist Linus Pauling. If you choose to supplement with Vitamin C, make sure you’re buying whole-foods-sourced Vitamin C — and reading labels very carefully. But above all else, make sure your diet includes lots of raw, organic foods high in Vitamin C, like bell peppers, kale, and oranges! LISTEN NEXT: Check out my podcast episode with Dr. David Friedman, the expert cited in this article about ascorbic acid and Vitamin C. He debunks myths that many believe about supplements and food. Ballantyne, Coco. “Strange But True: Drinking Too Much Water Can Kill.” Scientific American, June 21, 2007. National Institute of Health. 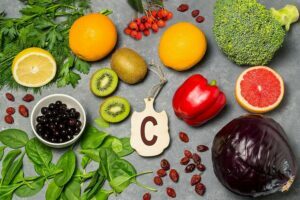 “Vitamin C Fact Sheet for Professionals.” accessed Feb. 14, 2019. Reed, Anthony. “Will the Real Vitamin C Please Stand Up?” Medium, Nov. 8, 2016. 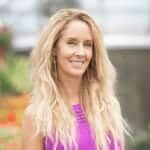 GreenSmoothieGirl.com. “Ep. 94: Food Sanity and Diet Wars with David Friedman.” Vibe Podcast, Aug. 15, 2018. Agarwal M, Mehta PK, Dwyer JH, et al. “Differing Relations to Early Atherosclerosis between Vitamin C from Supplements vs. Food in the Los Angeles Atherosclerosis Study: A Prospective Cohort Study.” Open Cardiovasc Med J. 2012;6:113-21. Jacobs C, Hutton B, Ng T, Shorr R, Clemons M. “Is there a role for oral or intravenous ascorbate (vitamin C) in treating patients with cancer? A systematic review.” Oncologist. 2015;20(2):210-23. American Association For The Advancement Of Science. “Vitamin C Produces Gene-Damaging Compounds, Test-Tube Study In Science Reports.” ScienceDaily. 15 June 2001. Nikolaidis MG, Kerksick CM, Lamprecht M, McAnulty SR. “Does vitamin C and E supplementation impair the favorable adaptations of regular exercise?” Oxid Med Cell Longev. 2012;2012:707941. Zeratsky, Katherine, Rd. “Is It Possible to Take too Much Vitamin C?” Mayo Clinic, accessed Feb. 17, 2019. Friedman, David. “Food Sanity” Basic Health Publications, Feb. 20, 2018. pg. 186. Pullar JM, Carr AC, Vissers MCM. “The Roles of Vitamin C in Skin Health.” Nutrients. 2017;9(8):866. Published 2017 Aug 12. Harrison FE, May JM. “Vitamin C function in the brain: vital role of the ascorbate transporter SVCT2.” Free Radic Biol Med. 2009;46(6):719-30. Andreas Hahn, Alexander Ströhle. “Vitamin C and Immune Function.” Med Monatsschr Pharm. 2009 Feb; 32(2): 49–56. S. R. Lynch, J. D. Cook. “Interaction of vitamin C and iron.” Ann N Y Acad Sci. 1980; 355: 32–44. Food Matters. “5 Ways to Tell If Your Vitamins Are Real or Fake.” Jan. 7, 2013. Very good article – same applies to vitamin E and all of its "fractions" and "cofactors". Nature (God) know best. Trust that. Jim LeBeau, while I totally agree that God knows best, there’s evidence that humans used to make their own vit C thousands of years ago like most animals still do today. The lack of the enzyme that’s needed to do it is chalked up to evolution by those who don’t believe in God, but I suspect it’s part of God’s saying in Genesis 6:3 just before the flood that He wasn’t going to let people live 900 years anymore, that He was going to cut it down to 120. (We’ve always been told that that meant it took 120 years to build the ark; but 11:10 tells us one of Noah’s sons was only 98 the year of the flood, and 6:10 & 18 imply that Noah’s sons were not only born, but already married when God said this.) I’ve heard naturopaths saying today that we are genetically programmed to live 120 years, but that the reason we don’t is because of problems with nutrition, environment, and other factors. The RDA is woefully inadequate for good health. One doctor whose lectures I’ve listened to said RDA stands for "really dumb advice." Most animals make their own vit C. For me to get as much proportionally for weight as a goat makes naturally (goats virtually never get sick), I’d have to take a 500mg pill every half hour all day and all night. That’s assuming 100% absorption. If absorption were only 33%, I’d have to take one every 10 minutes, all day and all night. And that’s when the goat is not under stress. When it is stressed, it will make several times that much. What the goat makes is specifically ascorbic acid. Intravenous Vitamin C therapy has long been touted, in natural health circles, as being an extremely beneficial treatment for those suffering from all sorts of health maladies and has worked wonders for many people who have utilized it for such. What is your opinion of this form of Vitamin C and it’s method of delivery? In other words, I’m assuming this is still a synthetic form of Vitamin C? Also, whether synthetic or not, does it make a difference that it is being administered intravenously (as opposed to orally)? I agree with some points in the article, but I believe that care needs to be taken I making ascorbic acid a villain when there are multiple cases of whooping cough, meningitis, pneumonia, sepsis that have been successfully healed with high doses of ascorbic acid. And while plant based vitamin c is ideal, the world we live in where you get exposed to over 100,000 chemicals daily doesn’t allow for enough peppers and oranges to provide the antioxidative effects that supplementin with vitamin c does. Look into Susan Humphries work on healing 2 week old children of whooping cough with high doses of ascorbic acid. Animals make their own vitamin c humans do not. And every 3-4 hours that vitamin c in your body needs to be replenished to ensure protection from all the environmental stuff we are constantly exposed to. And plant based vitamin C is extremely expensive, so yes people you can have ascorbic acid safely not always but when your body needs it don’t hold back cause of heart attack fears ?! You also recommend oatmeal for breakfast in another article when multiple research has linked oatmeal to high oocurences of cavities in children and adults. Thanks for your take, I was prescribed AA recently I’m Aller C and have demonized it for the last 10yrs. I do hope it is helping rather than hurting. I take whole food C as well. I have enough chronic health issues and genetic errors, I don’t need more! Fingers crossed 1000mg day won’t cause new problems. I also agree with much of what has been said. I do wonder though, about your comment about not needing 50 oranges, but maybe only being able to manage 2 or 3. While this seems to make sense, what do you think about the ‘fact’ that over the last 50-100 years, our soil has become so depleted that 50 oranges may indeed only yield the equivalent of what you’d get from 5 oranges in generations past? but will up my intake of the real food sources. While whole foods are always wonderful, supplements have their place. Your article was a little misleading, only focusing on the ascorbic acid form of Vitamin C.
"all steady state comparative bioavailability studies in humans have shown no differences between synthetic and natural vitamin C, regardless of the subject population, study design or intervention used." In their research, they referenced the 1988 Vinson/Bose study which found the 35% increase in bio-availability but they noted the baseline vitamin C status of the individuals may have affected the comparative bioavailability of vitamin C.
However, they went on to quote 6 additional human studies (including their own) that found "comparable bioavailability" between the two types of vitamin C. It seems to be a very well researched and comprehensive paper. Since I’m studying this too, I’m very interested in your take on it. Results from the 10 clinical studies comparing the absorption of vitamin C alone or vitamin C in flavonoid-containing foods showed no appreciable differences in bioavailability of ascorbic acid. Only one study, which included five men and three women, found that a 500-mg supplement of synthetic ascorbic acid, given in a natural citrus extract containing bioflavonoids, proteins, and carbohydrates, was more slowly absorbed and 35% more bioavailable than synthetic ascorbic acid alone, when based on plasma levels of ascorbic acid (8). The remaining studies showed either no change or slightly lower plasma ascorbate levels in subjects who consumed vitamin C with flavonoids compared to flavonoids alone (7). I am very confused. Every article I read I shouldn’t eat this food or that food because of this or that. You recommend peppers and I just read an article that peppers are nightshade plants and are not good for you. I don’t know what to believe anymore. Who is right? If the ingredient is listed as "L-Ascorbic Acid" is that still synthetic ? Hi Jim, yes it is synthetic. In regard to an all natural form of Vitamin C, please contact Perque.com and ask for Jayshari. His company produces pharmaceutical grade neutriceuticals one of which is Perque C Guard. It is buffered L-ascorbate the 100% natural form you discuss. Also On Perque’s website you will find professional information including protocols for doing weekly C flushes to recalibrate the bodies need for vitamin C each week. At 73 years of age I’ve done this practice weekly and while my need for C has come down over the last 17 years, I still require 10 grams a day. I carry the ApoE4 genetics for a much higher risk of Alzheimer’s and three generations of my mothers before me were badly demented at my age. My mother’s IQ was 162 when she was 32 yet stage six Alzheimer’s still took mind and her life. Anyway, Russell Jaffe has done amazing work. I hope you’ll take the time to research him and his products. He’s also a pioneer in delayed allergy testing through his Elisa Act company. You can also sell his products under your own label should you ever care to get into that. Perque’s products are suppose to be sold only by health professions although I have seen them online. Anyway, Jaffe and Perque are worth your time to investigate. . This is a great article, thank you Robyn. Thank you for clarifying the differences between the different sources of Vitamin C. Linus Pauling may have made some mistakes with his own personal health but he did live to the age of 93. What about liposomic vitamin c? Hi MarLou, Robyn believes Vitamin C should be sourced from whole foods. Here is one brand she recommends https://amzn.to/2M77LC9.